T/Sgt John A Martsching was assigned to the 301st BG 419th Squadron. The following information on John Martsching is gathered and extracted from military records. We have many documents and copies of documents, including military award documents. 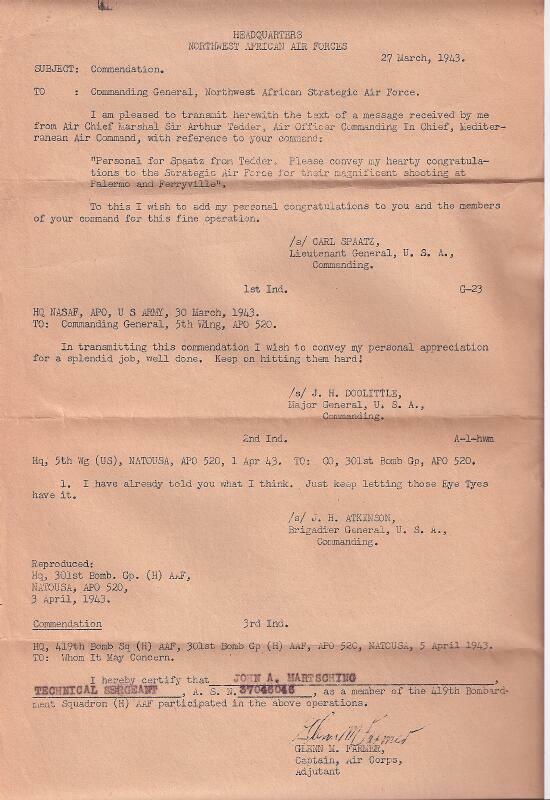 It is from these documents that we have found this information on T/Sgt Martsching. These serviceman's records are nowhere near complete and we are always looking for more material. If you can help add to John Martsching's military record please contact us.